description: Large double sided porcelain sign lighted with neon tubing and incandescent light bulbs. 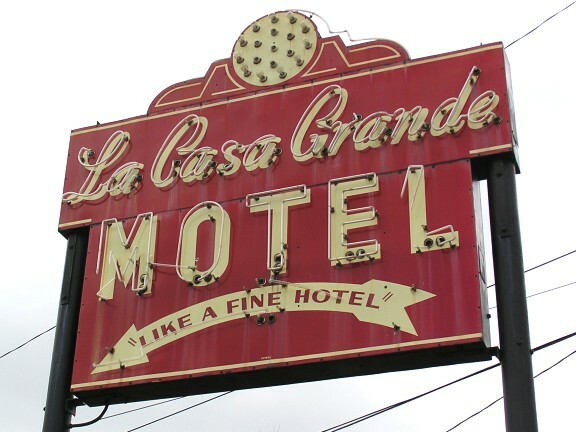 information: This sign once hung on Historic Route 66, in front of the La Casa Grande Motel, formerly located at 8208 Watson Rd. in St. Louis, Missouri. Currently the sign is in storage and waiting restoration by our specialist at Antique Warehouse.